Drive System consists of a 110V, 60Hz AC input, 12V DC motor. 120 lb. capacity. Draws 1.6 amps under full load. The travel range is 16.5" of vertical adjustment from 25" to 41.5"; the full travel time is 13 seconds. The work surface is made of thermally-fused laminate with a T-mold edge standard. 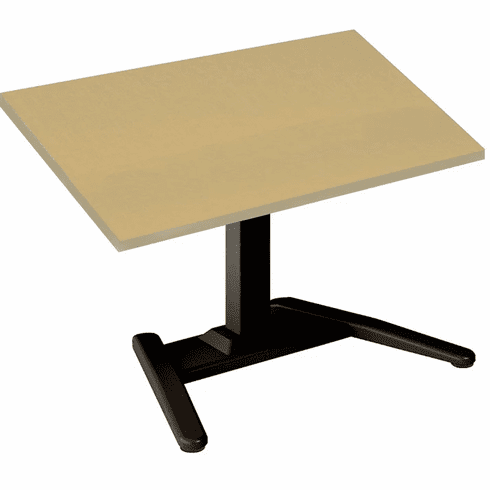 The non-adjustable portion of the base can be painted in any of our Corporate Colors for a $50 List upcharge. Overall Dimensions: Width: 36" x Depth: 30" x Height: 25" - 41 1/2"